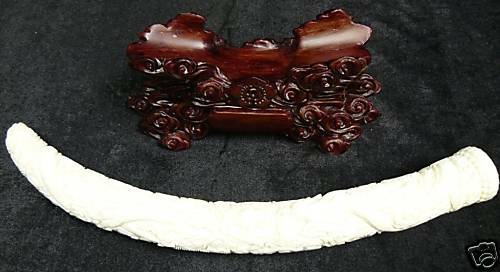 Long: 14", Wide: 3", High: 6". 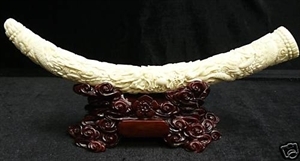 This beautiful artwork is made from natural Cow Bones. 2 dragons fighting for a ball in the center. The dragons are carved on the surface of bones. 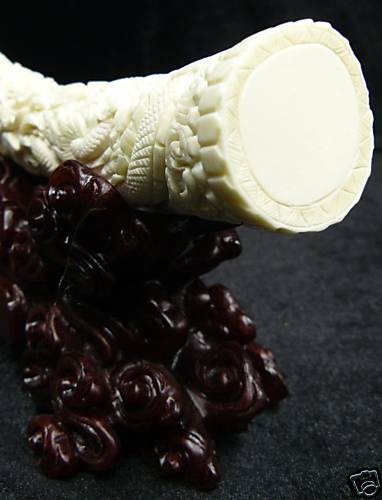 This is not ivory, it is made of bones, many small pieces of bone combined togeter to become this tusk. Very detailed.